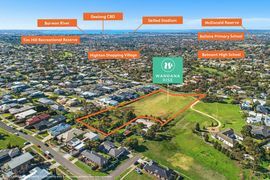 Nestled on the rise in an already established area, Wandana Rise Estate offers the best of living in one of Geelong's most highly coveted suburbs. This infill development is a unique opportunity to build your dream home in a family-focused community with infrastructure already in place. 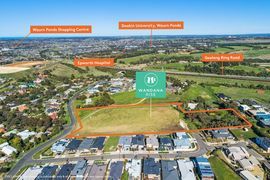 Schools, shopping centres, tennis courts, playgrounds and more – it's all here waiting for you within a 10-minute drive of Geelong CBD. Only 19 blocks on offer! This exclusive release is for 19 big, family blocks ranging from 554m2 to 980m2. All the space you need to build the family home you have always imagined and enjoy the ready-made lifestyle. If you buy and build in Wandana Rise Estate, you could be eligible for a First Home Owners Grant (FOHG). And because Wandana Rise is located in regional Victoria you may qualify for an increased FOHG payment. It could mean an extra $10,000 to $20,000 in your new home budget, making the idea of living here even sweeter. Contact us today to discover more about building your dream home in Wandana Rise Estate.